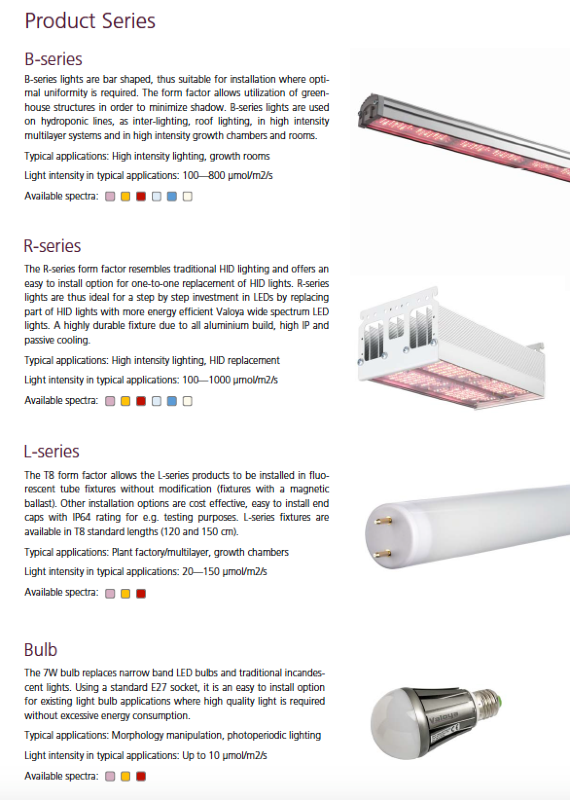 R-series for Greenhouse Lighting, These are the very best LED lights money can buy. 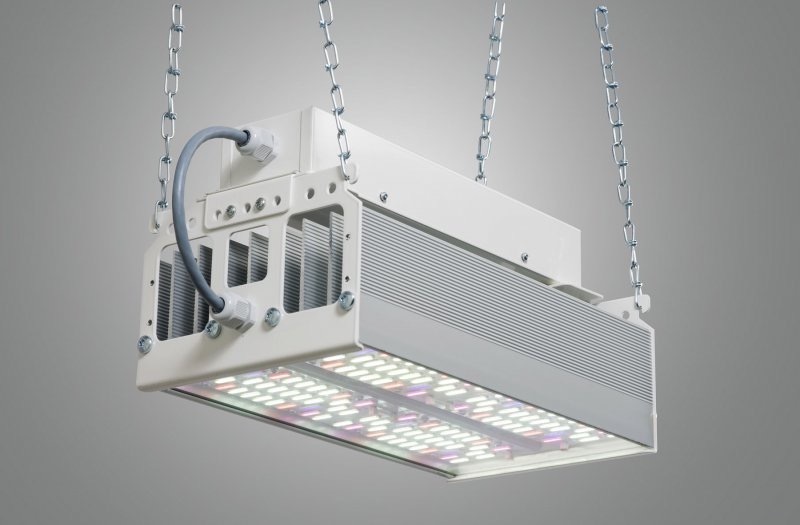 LED Grow lights are available to buy from many dealers but a good deal of these LED lights are of poor quality and they have the wrong Spectrum, the fan assisted type invariably break down as the fans get corrosive with the humidity in the grow rooms and greenhouses, many are flooding in from China , look cheap and don’t last. The best LED Grow Lights that money can buy I believe are the Valoya brand. The R-series LED lights offers high intensity lighting with minimal shadow foot print for a wide variety of plants and applications. It is a cost effective HPS replacement due to low energy consumption and minimal maintenance needs. The fixture is passively cooled thus without potential breaking mechanical parts like fans or watercooling parts. Built in all aluminum, Valoya fixtures are very durable with high IP rating making it ideal for usage in tough greenhouse conditions. 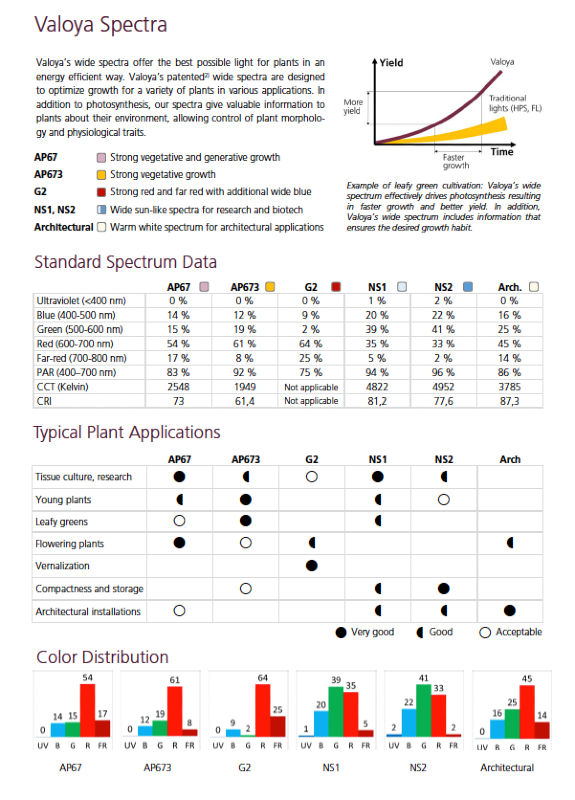 The light spectrum itself is developed for plant growth and made with Valoya proprietary LEDs and hence not limited to what can be done with off-the-shelf red and blue LEDs. The robust fixtures are designed to outlast the LEDs themselves. All Valoya fixtures are passively air cooled, which means no moving parts that have the risk of breaking. The B- and R-series fixtures have IP65 and IP55 ingress protection rating, respectively. Their research and development is fully focused to solve the customer’s needs. The R-series for Greenhouse Lighting pictured above…. The R-series LED lights offers high intensity lighting with minimal shadow foot print for a wide variety of plants and applications. It is a cost effective HPS replacement due to low energy consumption and minimal maintenance needs. The fixture is passively cooled thus without potential breaking mechanical parts like fans or watercooling parts. R-series products have a IP55 rating making it ideal for usage in tough greenhouse conditions. They are at least 40% more economical to run than T5 Fluorescents.